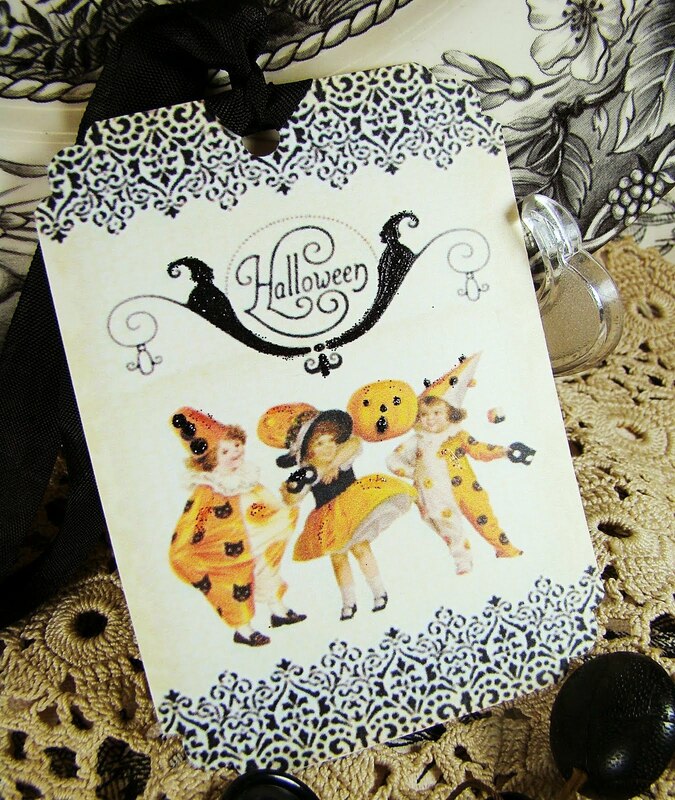 Cute Halloween Collage created using images of children all dressed up for Halloween with a Jack o Lantern, a fun Halloween sign – with two characters on either side are black with hand applied black glitter, and black lacey accents all set on aged cream , with a bit of black and orange glitter. These would be adorable used as a gift tag, book mark, party invitation or part or you Halloween décor! Set of 6 gift tags each measuring 3 x 4 inches, printed on heavy 110 card stock and tied with a black silk ribbon.